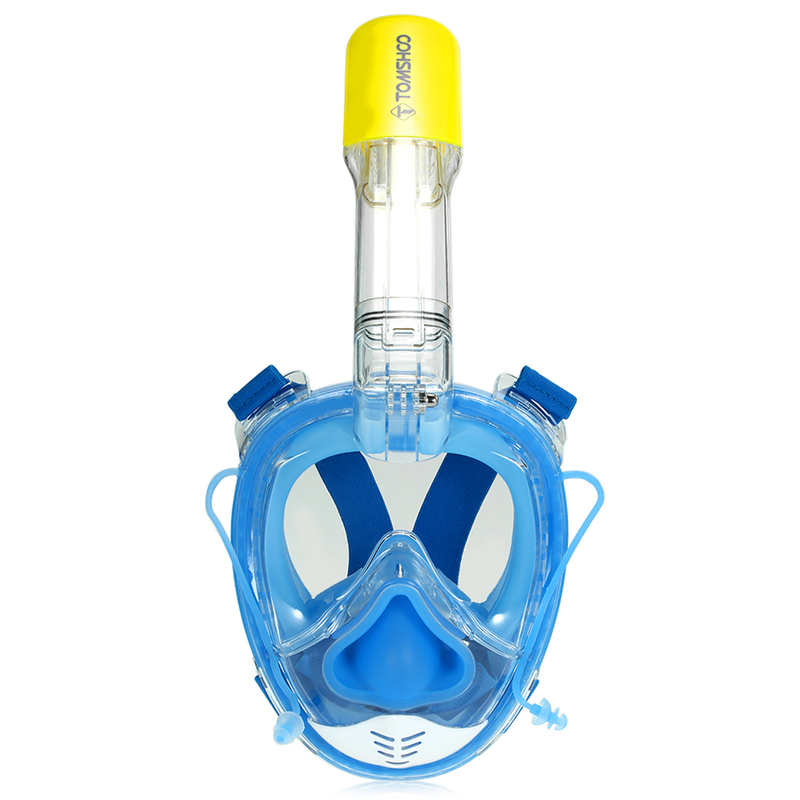 This snorkel mask features a wide viewing range of 180 degrees to let you see everything clearly in the water. The dual air flow system allows you to breathe naturally and helps eliminate all the condensation. 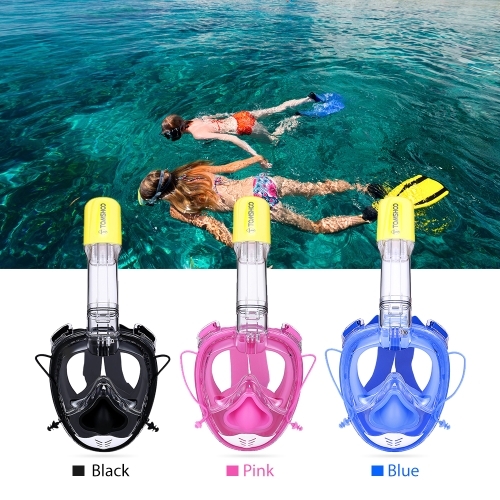 The soft silicone skirt and ear plugs seal human face and ears perfectly, and the rear strap are elastic and adjustable to fit any head size, suitable for men, women and teenagers above 12 years old. 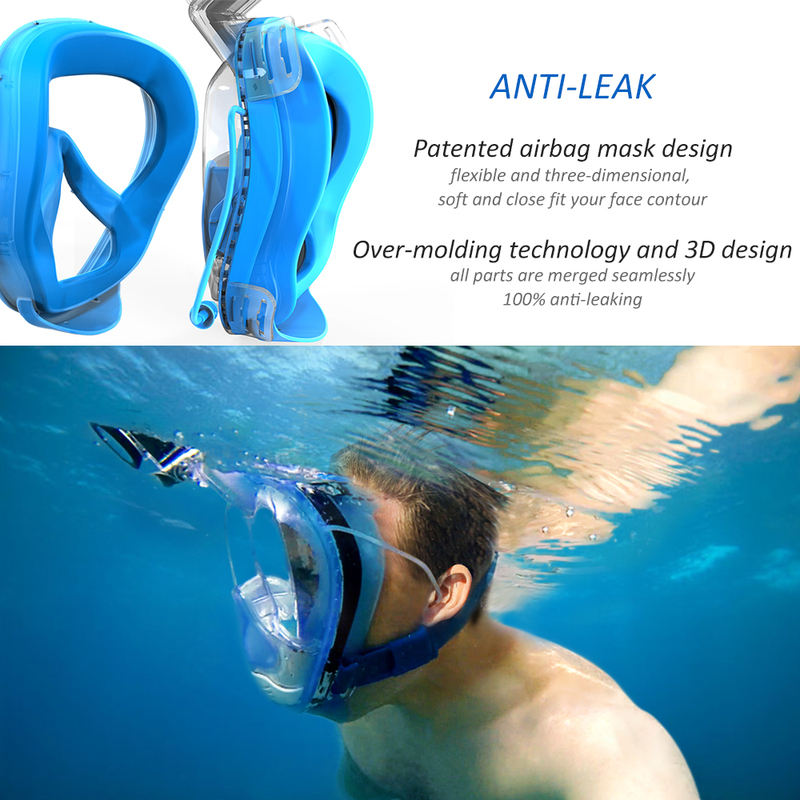 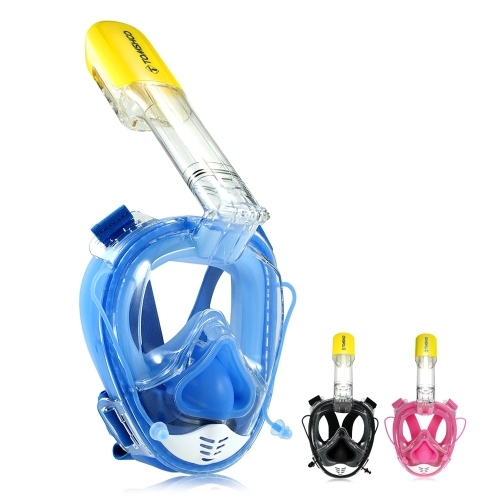 It is tough and durable, great choice for those who are pursuing a comfortable snorkeling experience. 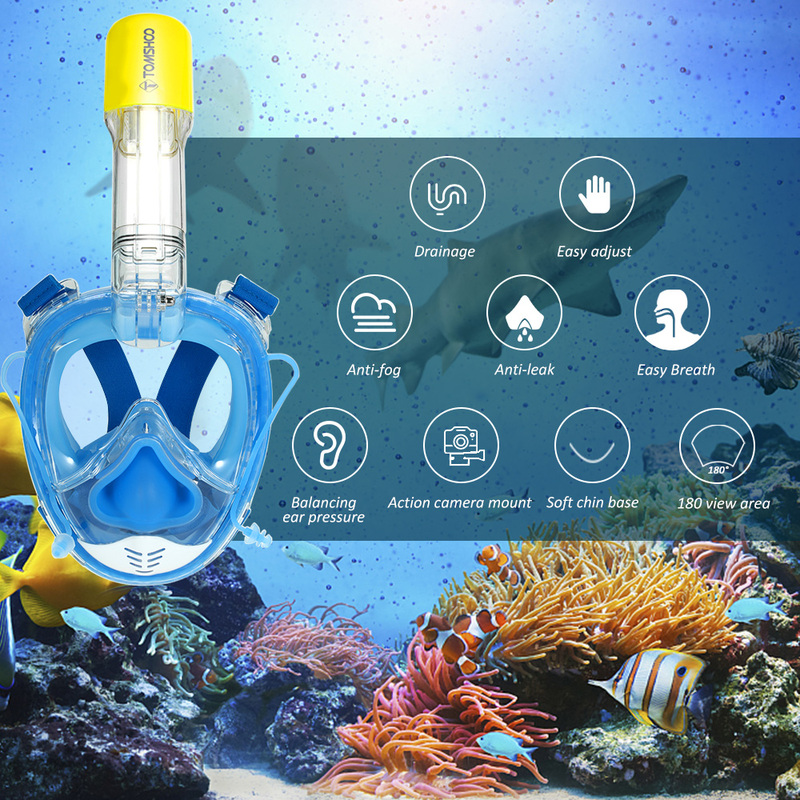 180° Visibility: The full face mask with wide window design provides 180 degrees field of view to let you enjoy underwater scenic beauty. Additionally, attach your camera to the mount and capture every amazing moment! 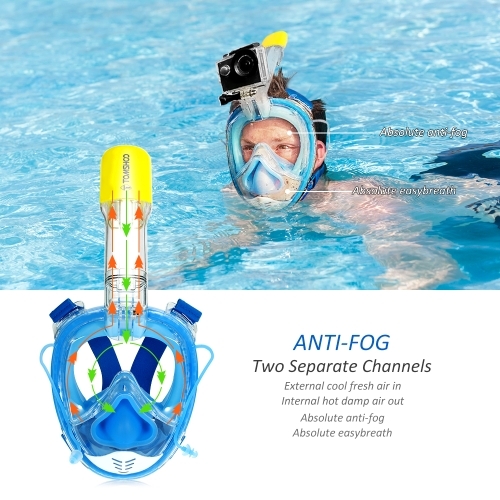 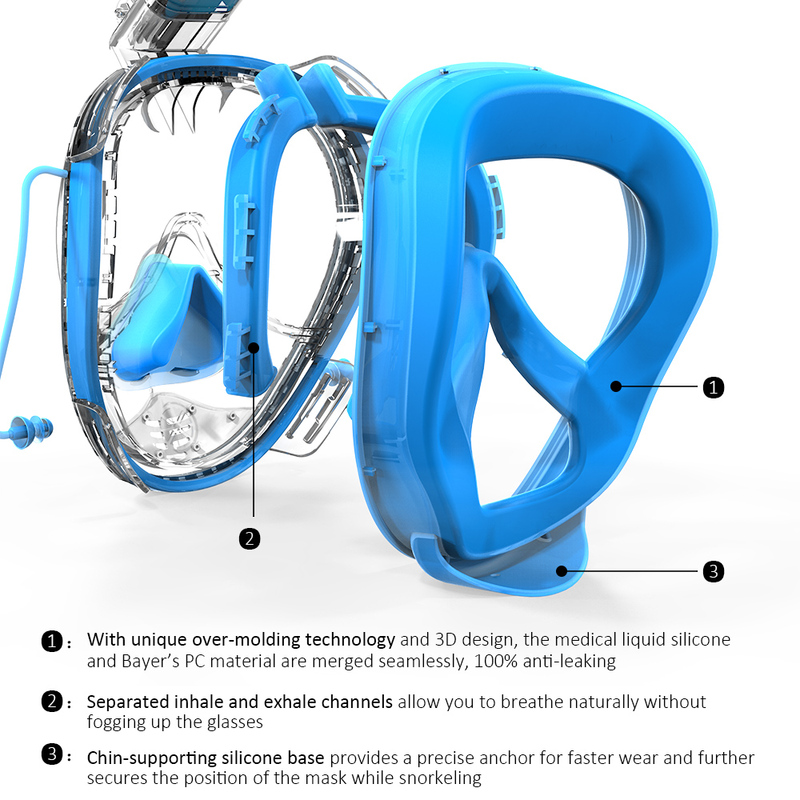 Easy Breathing & Anti-fog: With dry top and dual-air flow system, you can inhale and exhale naturally through either your nose or mouth underwater without worrying about the mask fogging up. 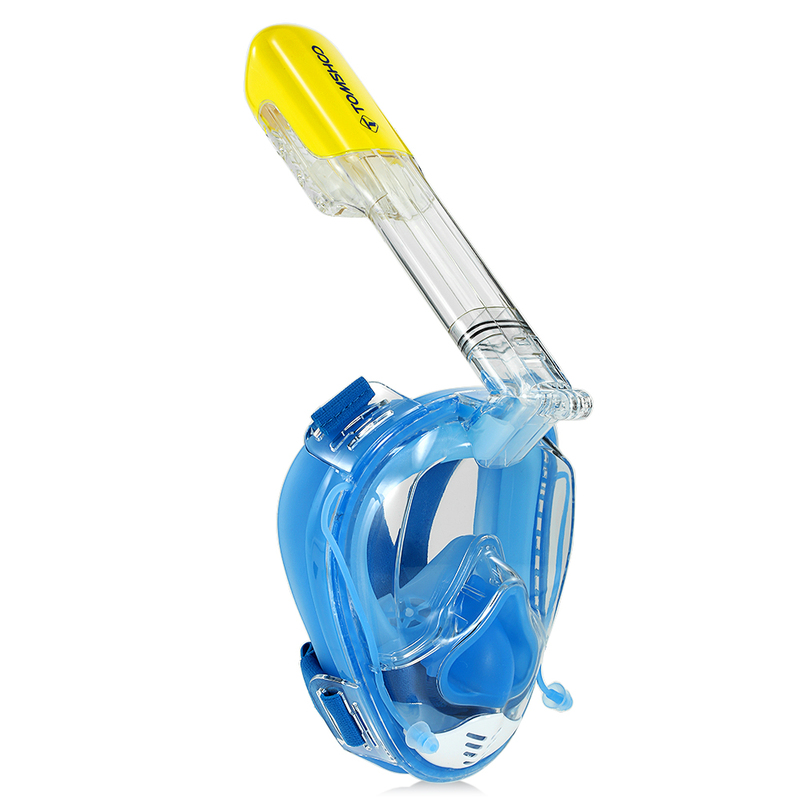 The soft silicone nose helps to balance ear pressure and contribute to a comfortable snorkeling experience. 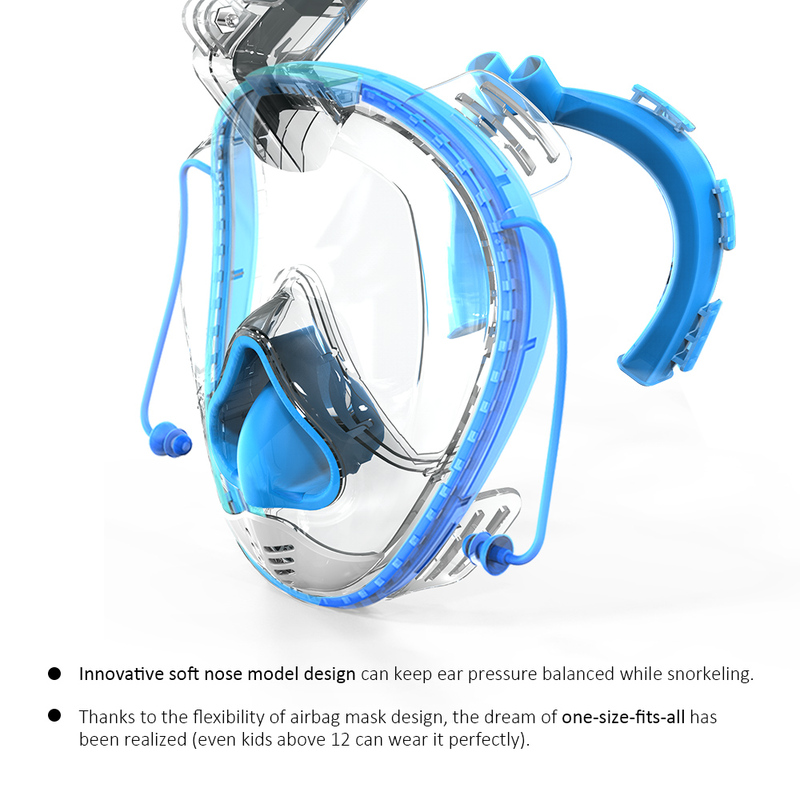 Water Barrier: The silicone skirt is ergonomically sealed to human face and decrease the chance of water getting into the mask when you smile. The soft ear plugs offer optimum wearing comfort and seal your ears from water and irritants. 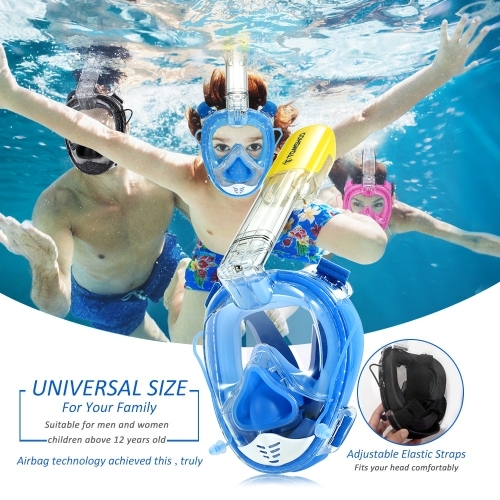 Universal Size: The adjustable elastic strap holds the mask in place on your head, allowing you to move freely in the water. The mask is a perfect choice for both adults and teenagers (above 12 years old). 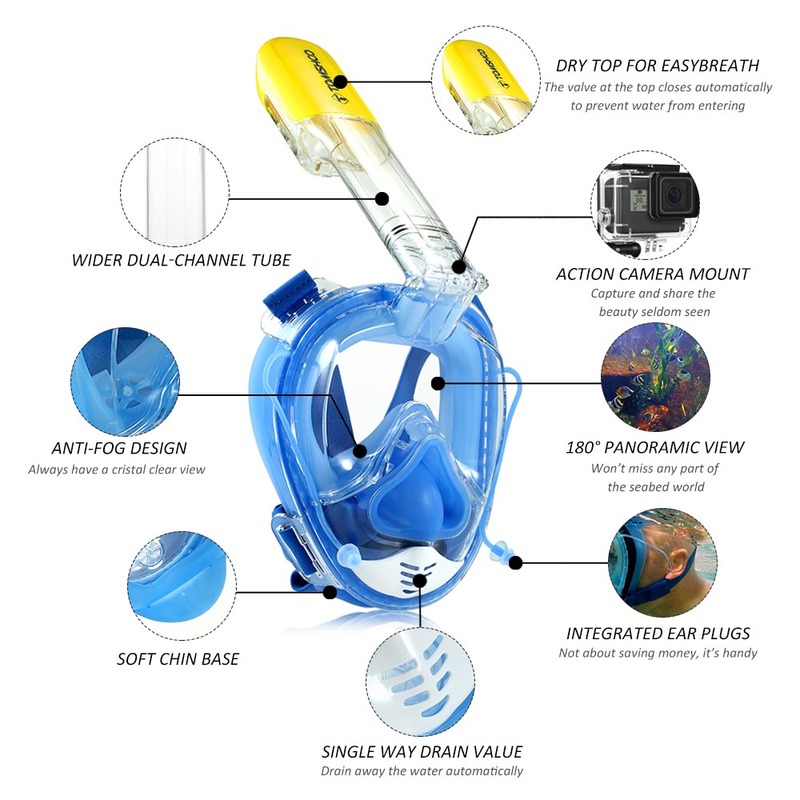 Long Lasting: Our mask is made of shatterproof polycarbonate, tough and durable enough to give the best snorkeling experience. It comes with a mesh storage sack for convenient storage and carrying in your travel.